Featuring the real-life city locations of Deansgate, Beetham Tower and Albert Square (complete with a Town Hall), the single-player videogame features iconic landmarks and various forms of giant robots or ‘mecha’ – who you play as – rampaging through the city. This ‘giant robot’ trope is typically used in extremely popular Japanese games as well as harking a tribute to Halo and Gears of War. PIXELBOMB GAMES have made it their company mission to make the city one which is as iconic as London in the gaming world – by re-imagining it in a dystopian, overgrown and artful light. The northern PC and console game Beyond Flesh and Blood will be releasing the full version on PC, XBOX, PS4 and Linux at the end of the year. The Steam community Greenlit the game in their thousands when it was still a concept, ‘Beyond: Flesh and Blood’ 2014, garnering the all-important YES in just 13 days – which will allow the developers to finally realize their science-fiction version of Manchester. A graphically-intense nod to the 3rd person shooter genre, Beyond Flesh and Blood challenges players to blast through multiple levels of hostile scavenger forces and mutating enemy threats on a mission to help reclaim the surface of Earth – starting with dystopian Manchester. Players jack into advanced multi-ability combat rigs, battle a range of formidable enemies and mech weapon systems across the post-apocalyptic UK city in fast-paced gameplay that will push shooter skills to the limit. 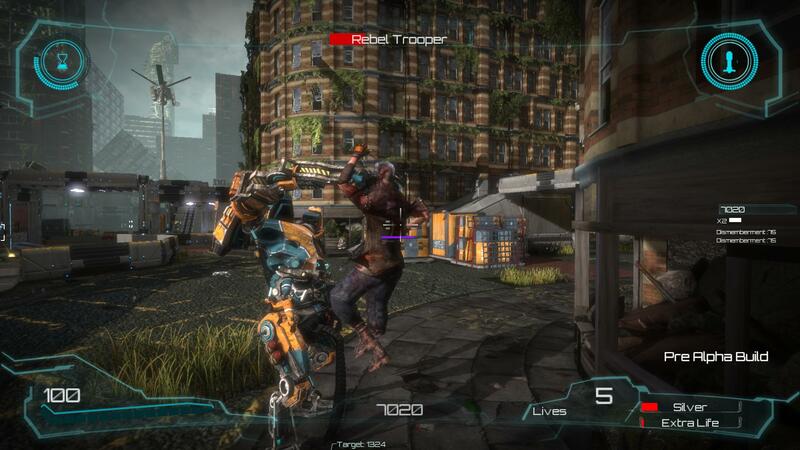 Beyond Flesh and Blood will release on PC later this year, and the studio aim to release on XBOX One and Playstation 4 in 2015.